Adult industry — Explore new ICOs for investment. Our project compares various ratings of the best agencies: ICOrating, ICObench, ICOmarks, TrackICO and ICOholder. You can easily find, select and track top rated ICOs with our up-to-date database. Join the Thousands of People using CryptoTotem. 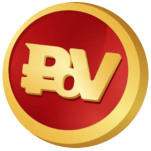 POVCOIN is an interactive virtual anonymous cryptocurrency network and gadgets for adult entertainment. The adult industry is worth over millions and billions of dollars. With the popularity of cryptocurrency, ICO and blockchain, the adult industry has skyrocketed to new heights. Investors know how much people would spend on these projects. They are constantly looking for new blockchain or cryptocurrency company to invest in. These companies created innovative ways to push the adult industry farther. These blockchain companies emphasize new and improved secure payment methods to make a transaction. Luckily, ICO and cryptocurrency offer a private and secure way of making and taking payments. This changes everything because everyone wants to be on the down low when it comes to the adult industry. These projects are quite innovative, but it’s hard for investors to know what to invest in. We provide a list of accurate platforms with top-notch information regarding these blockchain companies. We have ratings next to each market to give you an idea of the company. It’s important that you consider these ratings if you want to put your money in a blockchain or ICO startup with a strong team. Their experience and educational background is the most important information that you need to make your assessment. Fortunately, with our thorough research and knowledge about the blockchain, ICO and cryptocurrency, you will be able to make the right decision. We have a great ICO list for this category that you can invest in.